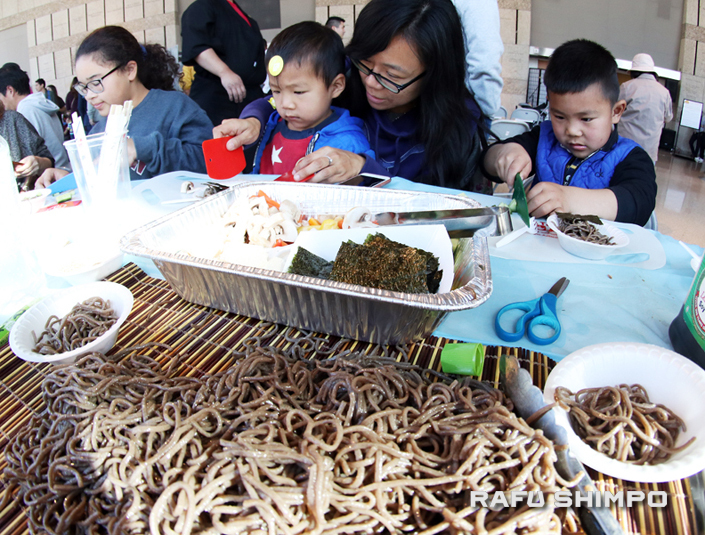 The Japanese American National Museum hosted the Oshogatsu Family Festival on Jan. 6, welcoming the Year of the Boar with crafts, foods, cultural activities and live performances. 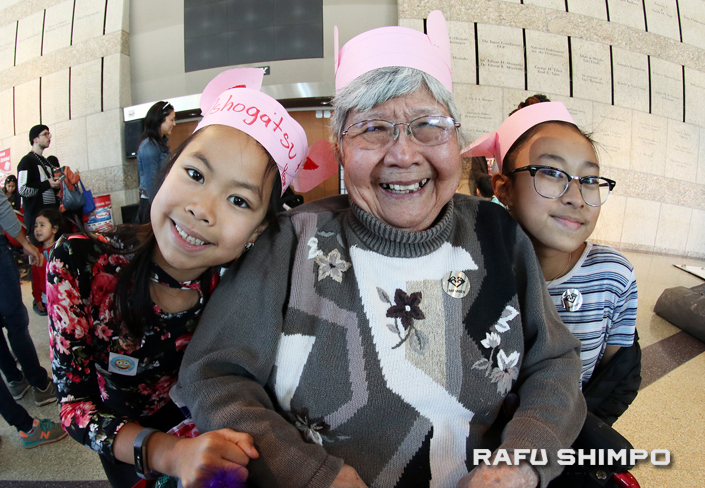 Dorothy Yoshihata, 92, of Los Angeles with her grandchildren Katie, 9, and Kelly, 11, proudly wearing their pig-ear headbands they made themselves at the museum. The Yian family of Hacienda Heights samples some lucky zaru soba (cold buckwheat noodles) to bring good health in the new year. 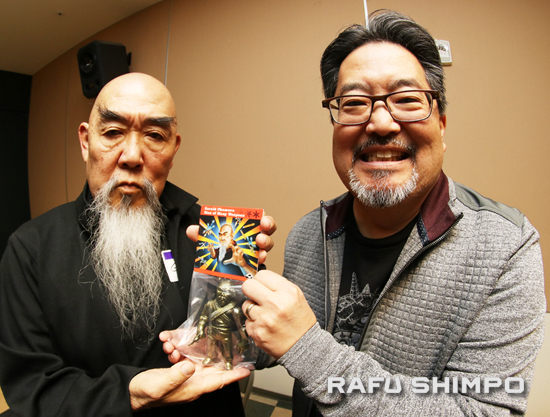 Artist Mark Nagata (right) and actor Gerald Okamura with Nagata’s latest special-edition sofubi, a toy figure based on a character played by Okamura in the movie “Big Trouble in Little China.” Nagata’s exhibition “Kaiju vs. Heroes” is now on view at JANM.